Original penciled and inked art by Humberto Ramos and Carlos Cuevas. Published in Superior Spider-Man #650, page 2. Art is standard sized Marvel art, approximately 11x17. 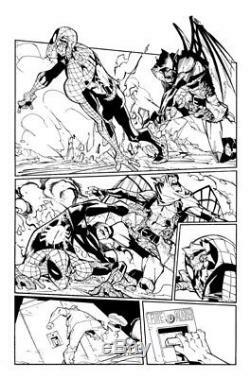 The item "Humberto Ramos Spider-Man original comic art Hobgoblin" is in sale since Tuesday, May 22, 2018. This item is in the category "Collectibles\Comics\Original Comic Art\Interior Pages". The seller is "howardtheduck78" and is located in Hiram, Georgia. This item can be shipped to United States.